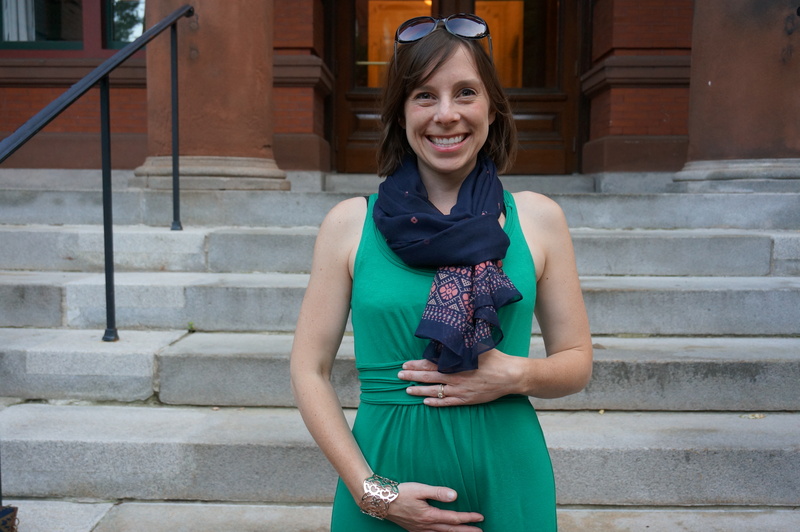 Our next mama in our series on pregnancy, birth, and motherhood is Lauren. Lauren worked at the same hospital with Katrina and me in Boston and is one of the most savvy, thoughtful, and on top of it people I know. She could always tell you the best up-and-coming restaurant for your next date, always had an interesting tidbit from a book or interview to share, and never failed to remain calm, cool, collected (and upbeat) – even in the most stressful of circumstances. While she was still just dating her husband, I thought that she would make a really organized, understanding, and fun mom and that the two of them exuded cool parent vibes. They are expecting their first child in February. 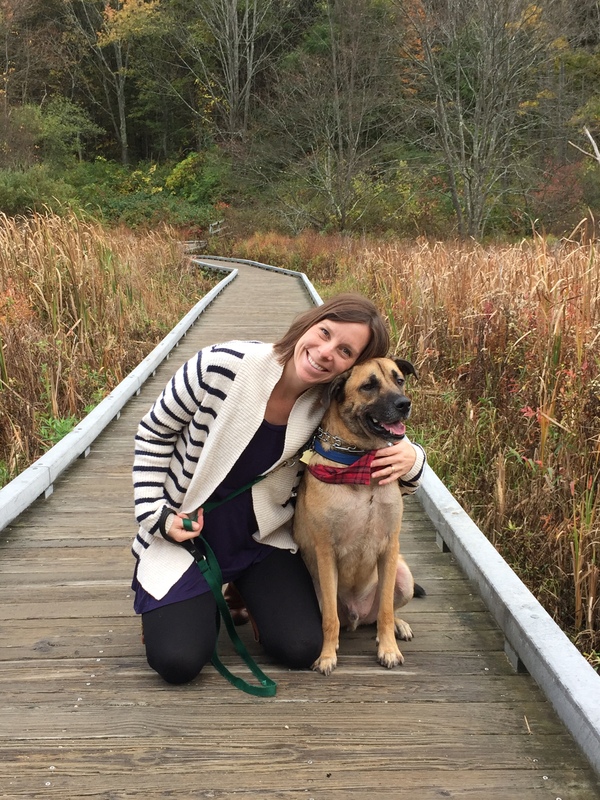 Here Lauren shares her thoughts on riding the waves, focusing on the basics, and finding your compass while pregnant with your first child. How did you decide to become a mom when you did? I’ve always known I wanted to be a mom; it was just a matter of deciding when was the right time. My grandmother always said, “If you wait until you feel ready to have children, you’ll never do it.” This was coming from a woman who had 6! She knew I can run a bit perfectionistic, and I think wanted to remind me that there is never a perfect time to turn your world upside down. So for me, it was a matter of my partner and I being on the same page. This was really really important to me. We had many conversations over the course of about a year, took a fabulous two week trip to Scandinavia, and decided together to take the plunge this past spring. What do you love about being pregnant? So far, I love most everything. Sure, there is fatigue, acne, weight gain, and (lots of ) fears. 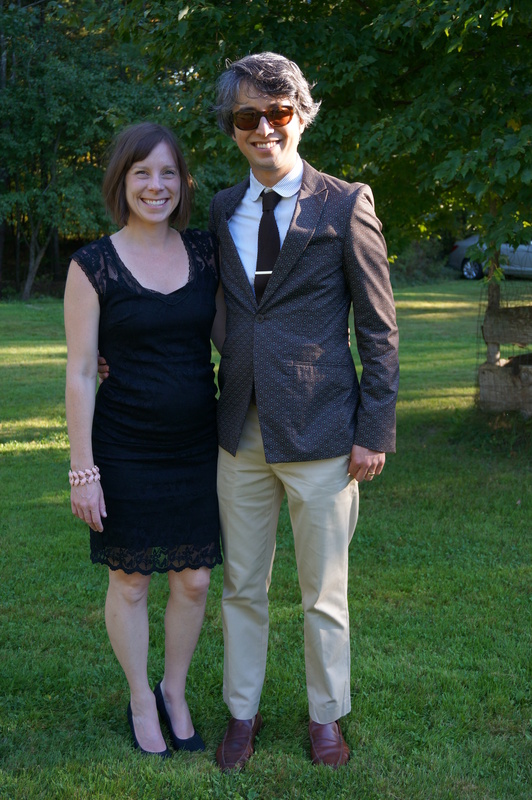 But for me, all that pales in comparison to the fact that I am growing a baby. A little one that will be part my husband and part me! I love that I have a buddy with me wherever I go. I love sitting in meetings and feeling little kicks. I loved the look on my husband’s face when he felt the first kick and shrieked “the baby is trying to get out!”. I love watching my belly grow. I love the connections with others who have already been down this path, both friends/family and strangers alike. I love wondering what type of mom and family we will become. How is pregnancy different from what you expected / what has surprised you? It has surprised me how relaxed I have become. I think this is reminding me of the important things in life, and I’m riding the daily waves a bit more elegantly now. It’s almost like it’s all too much to take in/worry about, so I’ve just been focused on this very moment. Or perhaps the hormones are just working in my favor for now. I also walk really really slowly, starting even when I was newly pregnant. What’s up with that?! What have been your greatest challenges in pregnancy? Constantly reminding myself that the whole “to-do” list does not have to be done before the baby arrives at home. Remembering that all I really need is a place for the baby to sleep, something for it to eat, and a loving marriage. Keeping my focus on my relationship with my husband is a real priority for me. The best thing I can give this baby is two happily-in-love parents. Even still, we agonized about buying the right crib! It’s hard to strike that balance. I connected with my closest girlfriends about these very issues. Quiet time with myself to reflect and center also seemed to really help. 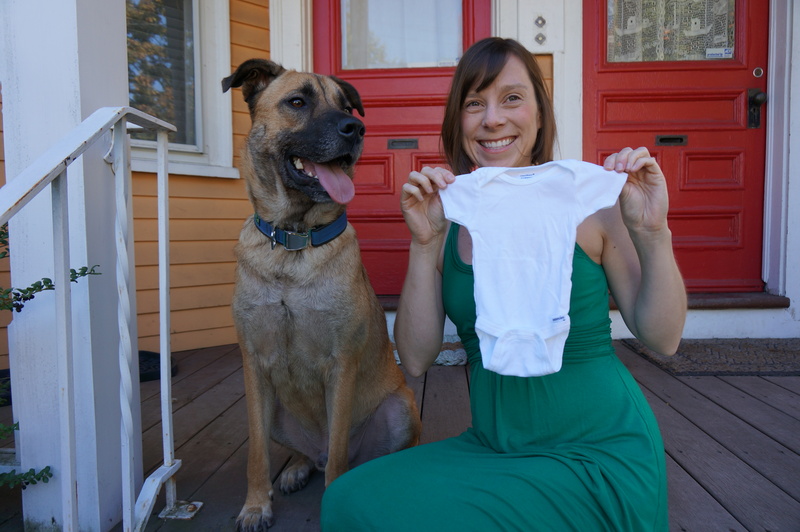 What is the best possible gift for a pregnant mom? Oh, I can think of lots! A very generous gift would be a house cleaning session. I find washing dishes, bending over toilets, and vaccuming much more taxing than normal. And I’ve been wanting to reduce exposure to the chemicals in cleaning products. Prenatal yoga classes would also be a wonderful gift, as those classes have been invaluable in helping me stretch, tone, and relax. What is the best advice you’ve received? Any book recommendations? I’ve really had to tap into my gut over the last few months. And at first, it was hard to find and trust my gut, as this is an entirely new experience. You hear so much about what to eat, do/not do, etc. when pregnant that I felt really unsteady for the first few months. After much research and talks with my doctor, it seems with most things there is no “right” or “wrong” thing to do (within reason), its just more a matter of how you feel about doing certain things. Like, how nervous things make you personally. So now that I’ve hit my stride, I feel comfortable in trusting my own decisions. It took a while to get there though! It was helpful to have close girlfriends and family members to talk things over with in the early months until I found my own compass. If you had 9 months remaining before getting pregnant for the first time, how would you spend that time? How would you prepare? Be in the moment. Love your partner. Work on your relationship. Do the things that make you feel most alive-whatever that is for you. For some it is traveling, for others it might be reading some good books. What do you hope to remember about this time? Mostly the mystery and wonder of who this baby is exactly. And the excitement of being on the edge of the ultimate adventure, and having no idea what it will look/feel like. But knowing I’m ready for the ride. 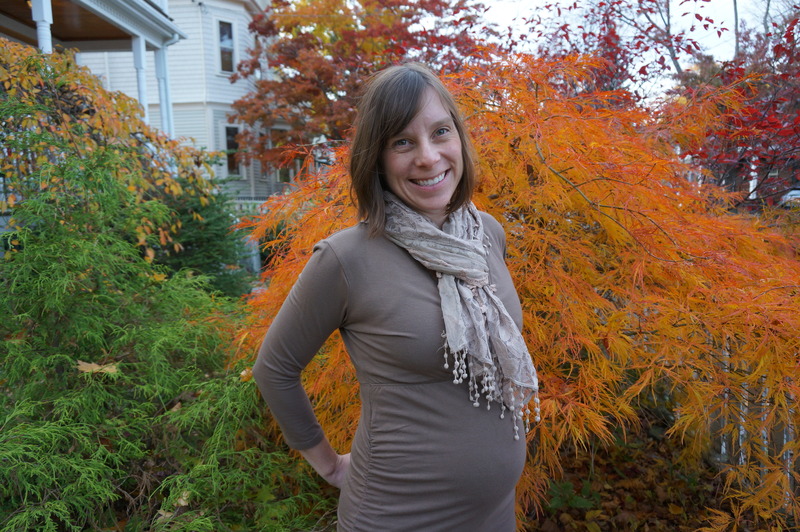 Thank you so much, Lauren, for sharing your experience during your pregnancy! As always, your thoughts are practical, empowering, and inspiring. I am sending good thoughts to you, your husband, and your belly over these next few weeks. I can’t wait to meet the little one! For more interviews with women about pregnancy, birth, and motherhood: Follow me on twitter @shespoised or like She’s Poised on Facebook (and select Get Notifications from the drop down menu).